Richard Ingersoll received his PhD from the University of California at Berkeley, under the direction of Spiro Kostof. He has taught courses in Renaissance and contemporary art, architecture, and urbanism at Rice University, the ETH Zurich, Università di Ferrara, and Syracuse University’s Florence program. Ingersoll was the editor of “Design Book Review” and art director for the film “Esther.” His recent books include Sprawltown, Looking for the City on Its Edges (2006). 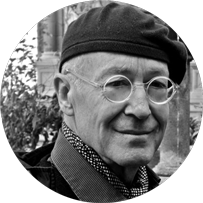 His articles appear regularly in “Arquitectura Viva”, “Il Giornale di Architettura”, “Harvard Design Magazine”, “Architecture”, and “Bauwelt”. His recent book World Architecture: A Cross-Cultural History builds upon Spiro Kostof’s global vision and social context (in A History of Architecture: Settings and Rituals) integrating extensive coverage of world and contemporary architecture in order to provide the most comprehensive survey in the field. – Richard Ingersoll, Spiro Kostof, World Architecture: A Cross-Cultural History (Oxford University Press, 2012). – Richard Ingersoll, Sprawltown: Looking for the City on its Edges (Princeton Architectural Press, 2006). – Kenneth Frampton, Richard Ingersoll, Ticino Modernism: The University of Lugano (Edizioni Press, 2004). – Zeynep Çelik, Diane Favro, Richard Ingersoll and Spiro Kostof, Streets: Critical Perspectives on Public Space (University of California Press, 1996).